This resource, produced by an international solidarity group engaged in diakonia locally, identifies the most important challenges to the church and diakonia in Europe today. The publication focuses especially on the impacts of the financial crisis and underlying culture and values. The publication sets forth proposals for diaconal practice and relates conviviality to diaconal motivation and to action that enhances and protects dignity, and works for justice. This inspiring resource will help churches to analyze their own contexts and support innovative engagement by congregations and diaconal workers. 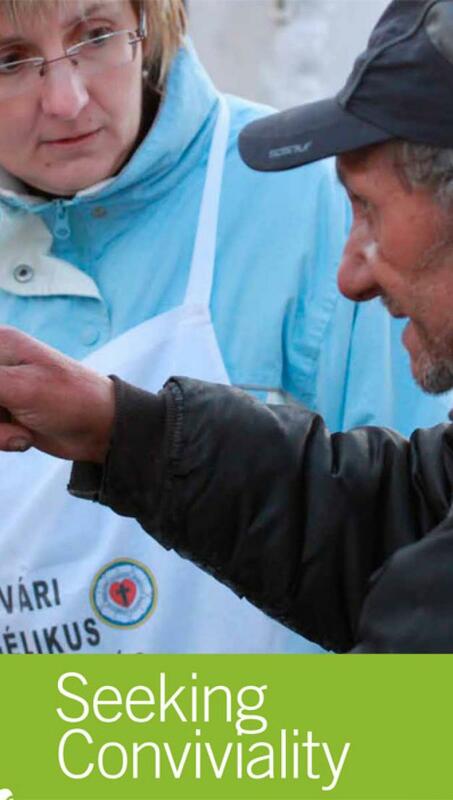 Part of the “Seeking Conviviality – Re-forming Community Diakonia in Europe” program of the Department for Mission and Development, a three-year process in 2011-2013 that looked to develop holistic diaconal responses by LWF member churches to growing poverty and marginalization in Europe. Published in partnership with the International Academy for Diaconia and Social Action, Central and Eastern Europe, o.p.s. (interdiac).